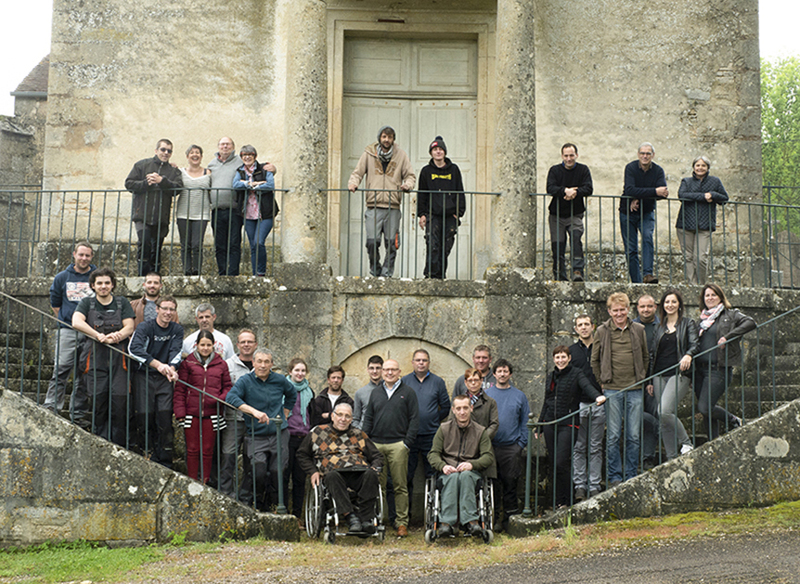 Situated in the heart of the Côte d’Or, less than an hour from Dijon, Benoit Systèmes, founded in 1994, has been offering motorisation solutions for wheelchairs for over 20 years. 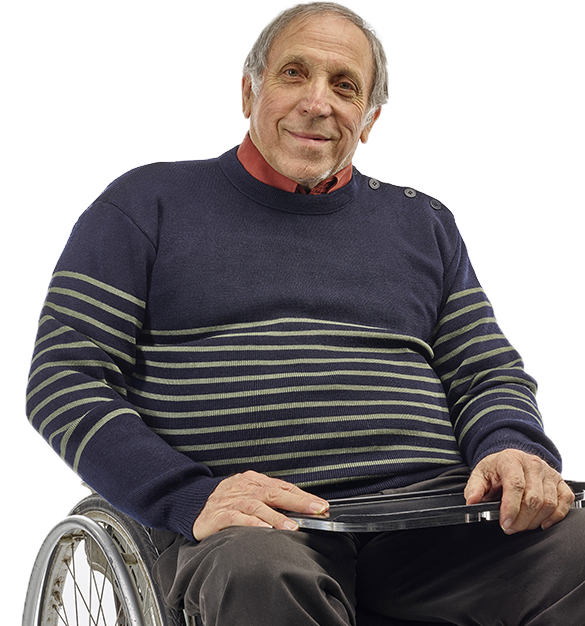 The idea of the founder, Robert Benoit, was to build a whole way of life for persons with reduced mobility, by creating an extensive array of tools to cope with the various circumstances of daily life. The first product to be marketed was the Light Active, a light, removable motorised aid for the wheelchair. The goal? To make life easier for persons with reduced mobility by considerably increasing their independence on all types of terrain. This product provides four times as much power as a person’s arms. After the Light Active, Benoit Systèmes perfected two other power packs: the Light Drive, which is operated with the joystick and the Light Assist, which provides assistance for the person pushing the wheelchair. Next, there is a range of accessories with Acti’Tab, a tray that it takes seconds to put in place on your lap, so that your hands are free, or KitCool, an ergonomic accessory that is installed between the handles of the wheelchair, to instantly transform it into a comfortable recliner. The latest innovation from Benoit Systèmes was unveiled at the Lépine Competition in May 2018. This is the Mobili Kit. Robert Benoit wanted to create a product that would help people stay self-sufficient at home – a motorised device on which you can mount your favourite chair, to move about more easily. This was an exciting idea since, once more, it was designed with great empathy by Robert Benoit and his teams. “From the psychological point of view, it’s our own chair, we needn’t change our habits and the device is very unobtrusive.” The first deliveries are expected in October. Today, Benoit Systèmes has a turnover of €3.7 million and 1150 power packs were sold in 2017. But, Benoit Systèmes is also a company on a human scale, which currently has 35 employees working towards a common goal: to make life easier for persons with reduced mobility. "Setting up a company is often the action of an individual, but it rapidly becomes a shared adventure." I have projects that would fill at least the next 50 years, the problem is that I’m already 70 ! With 16 people in a ward, in conditions that would nowadays be considered rudimentary, even unhealthy, Robert Benoit, nevertheless, found the means there to rebuild his life. “I found myself with other young people in my situation, who had been there for several months and who had already accepted the idea that they would never walk again. And, in spite of that, they were still smiling and joking among themselves. So, it was understood that life wasn’t over.” The young man spent hours discussing the best ways to organise their daily lives in wheelchairs. Even before he was out of hospital, Robert Benoit thought up new projects together with his companions on the ward. Once back home, he started working on ideas of power packs for persons with reduced mobility. First of all, he created a removable front wheel fitted with a petrol motor that enabled the wheelchair to reach 30 km/h (18.6 mph). With the patents applied for and the company created, Robert Benoit had faith in this project. After several promising years, the company had to face financial difficulties and was put into receivership, and then into liquidation. It was out of the question for him to give up because of this failure. He set himself back to work and set up a second company in 1994. That was the birth of Benoit Systèmes. The idea was to build a whole way of life for persons with reduced mobility, by creating an extensive array of tools to cope with the various circumstances of daily life. He then marketed the Light Active, a light, removable motorised aid for wheelchairs. The goal? To make life easier for persons with reduced mobility by considerably increasing their independence on all types of terrain. Light Active provides four times as much power as a person’s arms. He wanted to design a motor that would be very easy to attach to and remove from a wheelchair, rather like putting a jacket on, or taking it off, according to the weather.